The number of reported juvenile trafficking victims rose by 20 percent in 2018, while the number of adult victims decreased by 17 percent, according to data submitted to DCFS for its 2019 report on human trafficking. Sixty percent of the trafficking service providers in the state provided information for this fifth annual report. Louisiana SNAP recipients will receive their April benefits on a modified schedule, as DCFS works to transition families back to the regular distribution schedule that was disrupted by the partial federal government shutdown in January. May benefits will be issued according to the regular schedule. All Louisiana youth in foster care on their 18th birthday should be eligible to remain in care until they turn 21, a legislatively-created panel responsible for studying the issue said in a new report. All Louisiana Supplemental Nutrition Assistance Program (SNAP) recipients can expect to receive their March SNAP benefits by March 2. 1.17.19 - DCFS completed the early issuance of February SNAP benefits late Wednesday (1.16.19). All households certified eligible for February SNAP benefits on or before Jan. 14 have now been issued those benefits. Cases that remained pending on that date, and new applications filed since then, will be processed on the regular schedule. 1.16.19 - Each state is handling the early issuance of February SNAP benefits differently. All official information about SNAP benefits for Louisianans will be posted on the DCFS website and will be shared on the department's Facebook page and Twitter account. 1.14.19 - Based on recent guidance from USDA's Food and Nutrition Service, most SNAP recipients will receive their February benefits early - on or before January 20. These are not extra benefits and should be carefully budgeted to last through the entire month of February. 12.27.18 - A federal cost-of-living adjustment (COLA) to Social Security and veterans benefits for 2019 will result in decreases to some Louisiana residents' Supplemental Nutrition Assistance Program (SNAP) benefits, also known as food stamps, as well as benefits through the Family Independence Temporary Assistance Program (FITAP) and Kinship Care Subsidy Program (KCSP). The Louisiana Department of Children and Family Services (DCFS) and United Way of Southeast Louisiana (UWSELA) are partnering to help expand workforce training programs to recipients of the federal Supplemental Nutrition Assistance Program (SNAP) in seven parishes in Southeast Louisiana. The Louisiana Department of Children and Family Services (DCFS) is celebrating another record-breaking year of adoptions from foster care as families gather at Istrouma Baptist Church this afternoon for the state's 20th Annual Adoption Celebration. 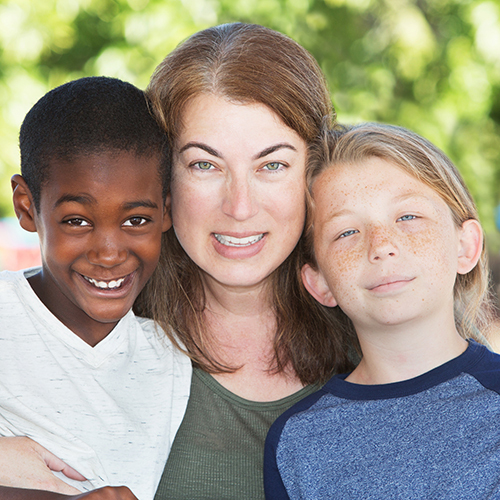 10.23.18 - The Louisiana Department of Children and Family Services (DCFS) has been awarded a $3 million grant from Youth Villages to expand services for transition-age foster youth. 09.21.18 - Expanding the network of community and faith-based supports for foster parents is the focus of the second annual Louisiana Fosters event, hosted at the Governor's Mansion today by First Lady Donna Edwards and the Louisiana Department of Children and Family Services.